We have a show this month - woohoo! 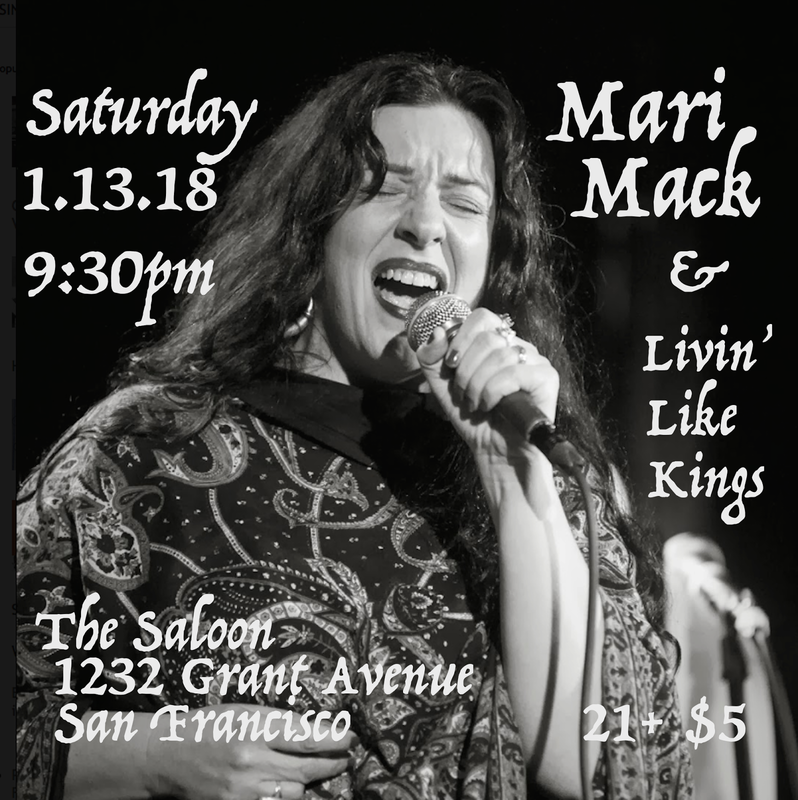 January 13th at The Saloon, 1232 Grant Avenue, San Francisco, CA. Lineup: Pat Duffey on guitar, Arne on bass, Doug Rowan on sax, Richard Wood on B3 and Roy Blumenfeld on the drum throne. 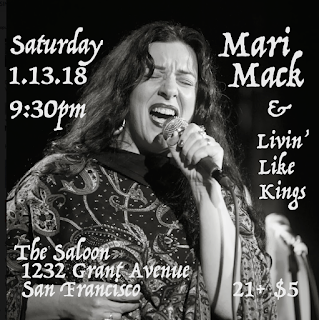 And of course, me in "Mari Mack mode" on vocals. Hope you can join us! It will be fun. Until then, keep your chin up, be kind to yourself and others.